Very nice and well-cared for one bedroom one bath mobile home on a cement slab with a one car garage, a tiled covered deck, an attached workshop and a big storage shed in the back. 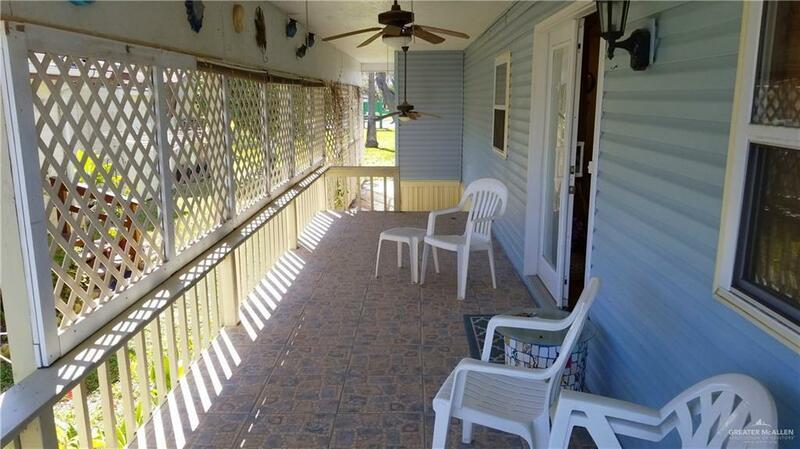 The property is surrounded by mature trees and is situated directly behind the activity center. The fully-furnished home itself features laminate wood floors, laminate counter tops, hand-rails in the hall, double-pane windows and an elevated covered deck. The park itself has an activity center, a pool, shuffleboard and many other amenities to numerous to mention. This 55+ community is one of the cleanest, quietest and friendliest parks in all of the Rio Grande Valley. Is situated right-off one of the Great City of Mission's thorough fares that will take you directly to expressway 83 or too many restaurants, shopping, banks and golf within minutes. Note, the trailer in the garage does not convey. Listing by Mark S. Wells of Re/Max 1st Choice.